Fans of Ford vehicles will no doubt be interested in one of the newest upgrades that are headed out on to the market. These engines will help improve the performance of vehicles, which is typically a top draw for most consumers. It will be important for people to adjust to the new specifications introduced by this engine upgrade. This will enable many vehicles to get fitted with an all new V8 design, which has added to its overall appeal. This will dramatically increase the horsepower that people can generate, which will just make it much functional to drive these vehicles. Many of the control mechanisms of this new engine have been fitted with an electronic design system. This includes a revamped fuel injection system, which will be controlled by upgraded electronics. This will insure proper timing speed, which will help the engine stay in gear while accelerating. The induction system has also been upgraded and now features a full range of electronic components. All of this has enabled the engine control system to improve the way that it operates. 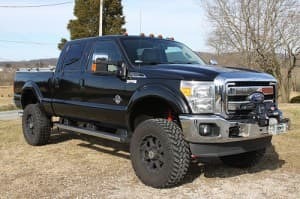 This will combine to provide a smoother ride for people who depend on these vehicles, but it will also add to the power exhibited by these models. All of the specs associated with these engines have received a boost thanks to this upgrade. This has included 385 horsepower, which can be produced up to 5500 rpm within the engine block. The engine also features 405 lb/ft of torque. This could prove to be invaluable for anyone who plans on hauling a lot of cargo with these engines. These engines can also be run off of regular unleaded or E85 fuel, which may surprise many people. Along with the standard upgrade, there is also a super charged diesel engine that has been released. This will help people enjoy the experience that they can get through this model. Most drivers will also appreciate that they can rely on these engines to remain durable over time. This is owing in part to the sturdy cast iron materials that have been incorporated in to the engine block. These models will come with an 8 cylinder head design that will also prove to be resistant against wear. Ford has remained committed to designing engines that will feature a lot of longevity. This will make the engine block a substantial investment for many people out there. ← Is Chevy Going for More Aluminum?